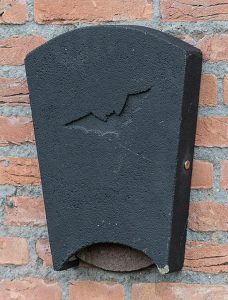 Looking for a bat box but don’t know which one to buy? This article is the second in a three part series designed to help you to make the right choice. 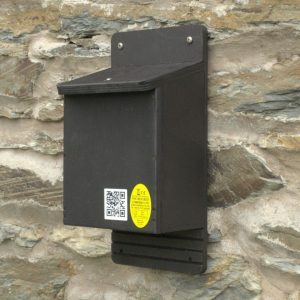 Here you will find our top 10 boxes for installing on an external wall or fence. The first and third posts cover the best options for installing on a tree in a garden, park or woodland and for building into a new build or development respectively. For each box you will also find helpful information such as its dimensions and weight and the box type (e.g. 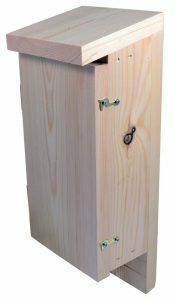 whether it is for summer use, for hibernation or for access into an existing roost space). The Glossary below provides a guide to the key terms used in the descriptions. 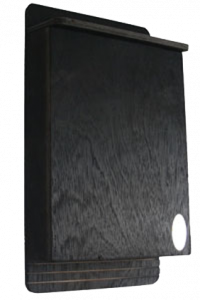 • Woodcrete/WoodStone: A blend of wood, concrete and clay which is very durable. Is is also breathable and helps to maintain a stable temperature inside the box. • Summer: Summer boxes are suitable for the warmer months but are less likely to be used over the winter. 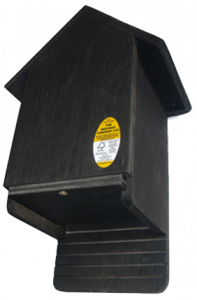 • Hibernation: Designed to be larger and better insulated, hibernation boxes will provide a safe and warm space for bats over the winter. • Maternity: Suitable for the formation of colonies and raising of young. 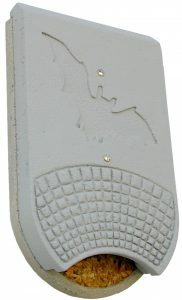 • Access: Provides an entrance to an existing roof space such as a wall cavity or loft. • Crevice: Provides one or more narrow roost space. 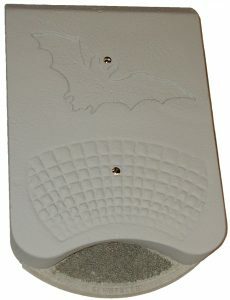 Species which prefer this type of box include common, soprano and Nathusius pipistrelle, Brandt’s and whiskered bats. • Cavity: Provides a more spacious roost space. 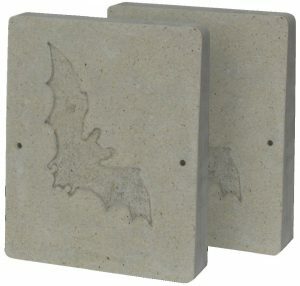 Bats such as brown long-eared, Daubenton’s and Natterer’s bats prefer cavity boxes. 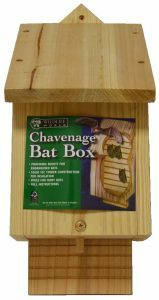 • Large cavity: These boxes allow space for flight within the roost which is preferred by brown long-eared bats in particular. 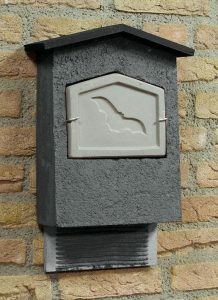 Browse our full range of bat boxes for external walls.